The actor said the script is ready and the on-screen royal grandmother Queen Clarisse Renaldi, played by veteran actor Julie Andrews, to her new Queen Mia, is also interested in reprising her role. Anne Hathaway, who had her breakout role in 2001's "The Princess Diaries", revealed that the third instalment of the romcom is in the works. "There is a script for the third movie. There is a script. I want to do it, Julie wants to do it, Debra Martin Chase our producer wants to do it. We all really want it to happen," Hathaway said on "Watch What Happens Live". The actor, however, added that the team wants to make a sequel only if it would be "perfect". "It's just, we don't want to do it unless it's perfect, because we love it just as much as you guys love it. It's as important to us as it is to you and we don't want to deliver anything until it's ready. But we're working on it," she said. In 2016, director Garry Marshall said he and Disney were in talks to make the third part. He also said around the same time that he had spoken to Hathaway who also wanted the new film to happen after she gave birth to her son. But months after, Marshall, 81, died of complications from pneumonia following a stroke. Last year, Andrews said in an interview that the team might do another film in Marshall's "honour". 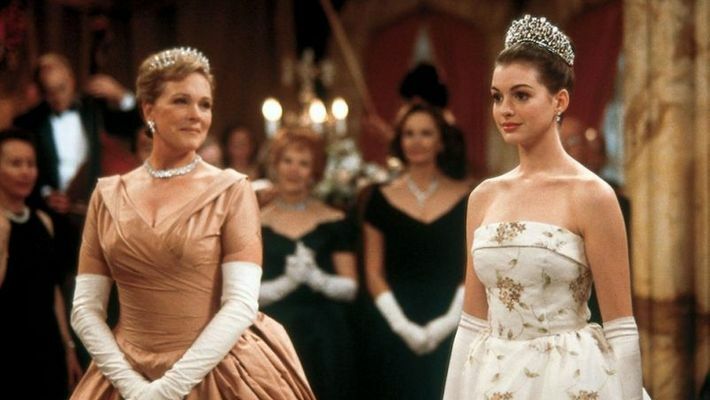 The second part of the series, "The Princess Diaries: Royal Engagement", also starring Chris Pine, released in 2001.